For those with an existing 2365-2 qualification, this electrical training course builds upon the basic modules in the level 2 qualification to further expand your electrical knowledge. 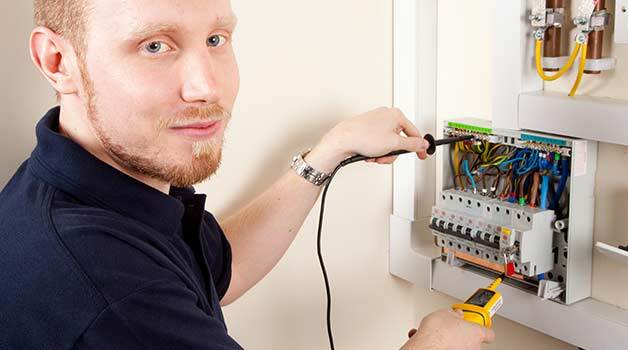 Taken your level 2 electrical training course and ready for the next step? Level 3 focuses on developing your skills even further and upon completion will allow you to either take further courses or work as an electrician’s mate to develop your skills in a practical application. Note: if you have not yet taken the level 2 course – 2365-02 – you will need to do so before attending this training. This training takes place over seven weeks. City and Guilds 2365-03 is the industry-standard level 3 qualification for those who wish to work towards a career as an electrician. Although this will not gain you a full electrician qualification, this course is essential to progressing towards higher level training (level 4) or working alongside an electrical company as an apprentice or electrician’s mate. The course focusses on expanding the knowledge you learned in level 2 to increase your understanding of electrical installations in both theory and practical work. You cannot take this course unless you already hold the relevant City and Guilds 2365-02 (Level 2) qualification. This course should be taken by those with a sound knowledge of electricity, based upon the fundamental modules learned during the 2365-02 training. 2365-03 is a stepping stone towards a full electrical qualification, but does not certify you as an electrician. You can move onto level 4 training after completing this course. Combining together practical assignments and theory work, 2365-03 is designed to expand your knowledge and skills, allowing you to work with a wider variety of electrical installations in a safe manner. The course is designed as an expansion to the 2365-02 course and delves further into electrical work at a more advanced level. You will take both online tests and practical assignments as this course progresses. These must be passed to gain the full City and Guilds 2365-03 qualification.